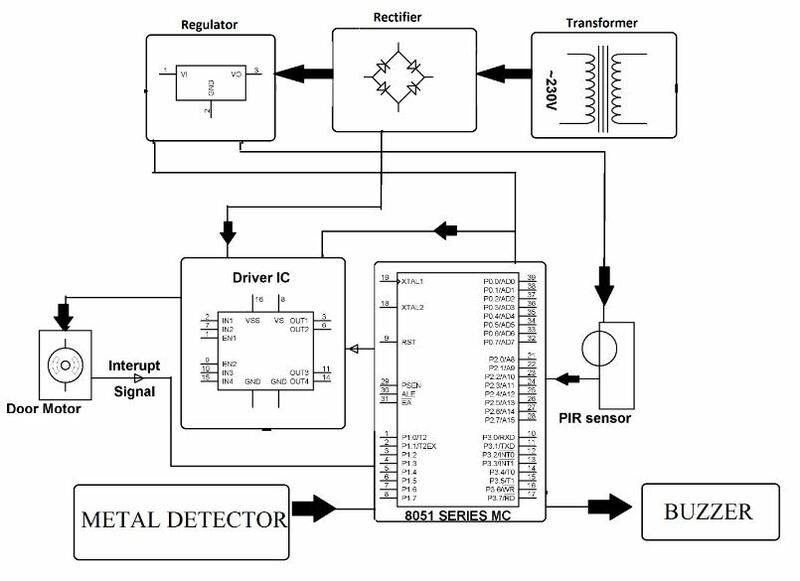 Motion Based Automatic Door Opener mainly aims in opening the doors without any manual help. It is difficult to manually open the door always in places like hotels, malls, office, supermarkets etc. 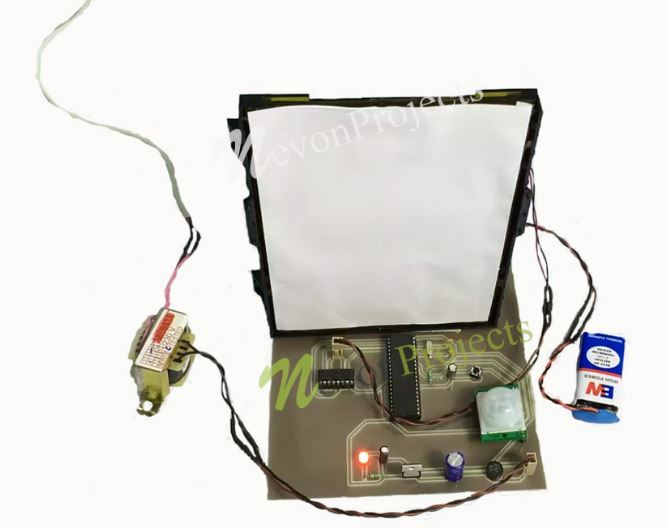 We introduce this project which makes the door open automatically when the sensors sense the presence of a human being. 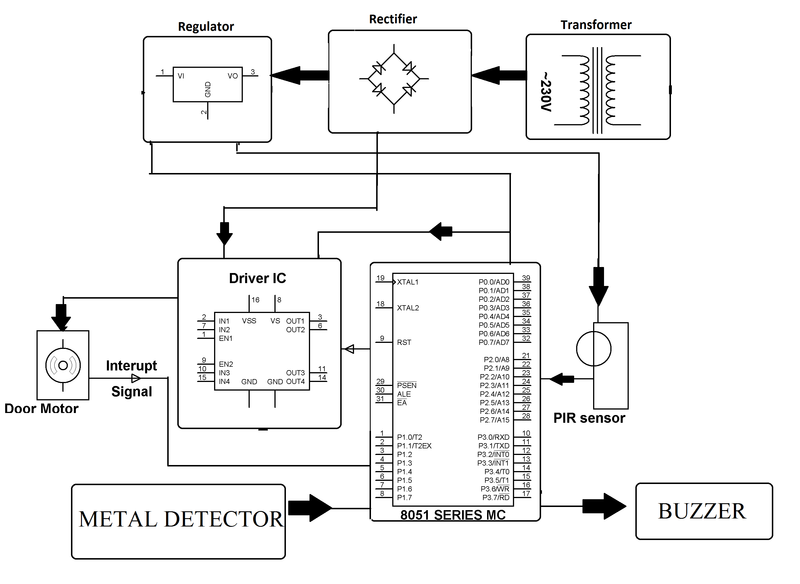 This system works with the help of PIR (Passive InfraRed) sensors. 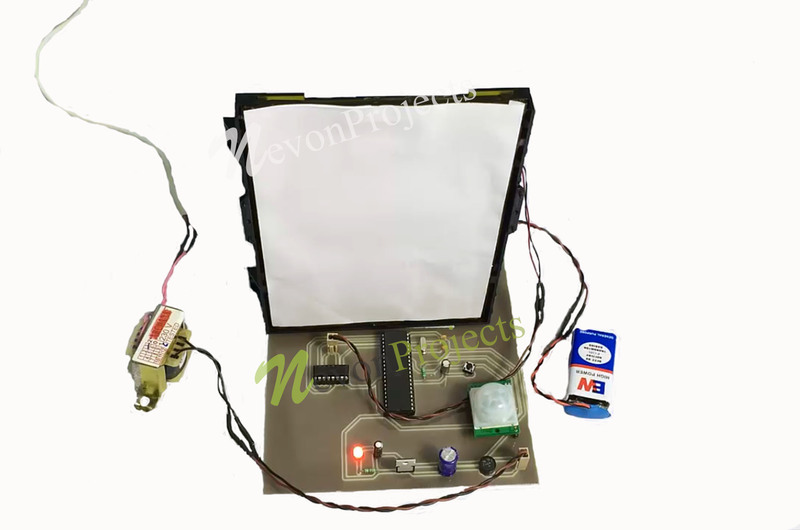 A live body emits some energy, this energy is sensed by the PIR sensors and the door opens as the energy comes closer to the door and closes as the energy goes far away. This system is enabled of even detecting any metallic objects the human is carrying with him and notifies accordingly. We can develop this system further by integrating counter mechanism so as to keep track of the number of people came inside the facility.